Now that the paint work is done, I’ll finish off the exterior with new lights. Lights are probably my favorite part of any project. While I’m not in to lights for bling purposes, I love finding period correct marker and signal lights as well as functional utility work lights. Often times I find myself working at night, whether it be to beat the heat in the summer or because I’ve run out of daylight in the winter. Whatever the case, I prefer to be prepared with functional lighting. This turned out to be a big part of the project because of the old, damaged wiring, bad relays, and blown fuses which are a result of years of neglect. Nevertheless, I traced down all the wiring problems, fixed them, and began the process of hanging the lights. First I address the headlights. They are typical 12V sealed beam lights. The headlight switch only worked when it wanted to, so I replaced it with a used OEM IH unit I found on eBay. Next I had to replace one bulb which I found at the local parts store, and I noticed both bulbs were not adjusted properly. Once I pulled the chrome ring off of one light, I was able to see why. 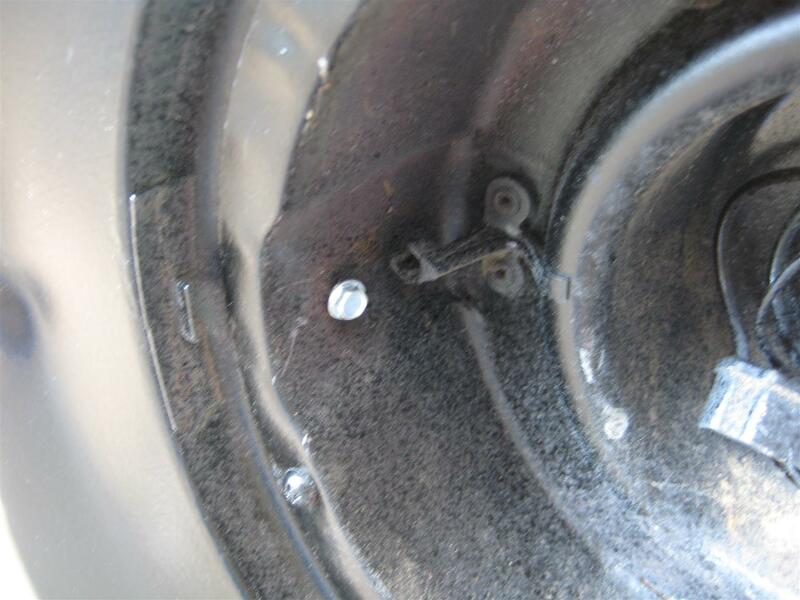 On one side of the housing there is a spring, and at the other side, as well as the top, there are plastic retainers that the adjustment/mounting screws attach to. In this case, the plastic retainers had long since become brittle and broken, so there was nothing to hold the light in straight. To solve this, I put a self tapping screw in the side opposite the tension spring. The shell around the bulb slid in and rested behind the head of the self tapping screw, and the spring tension from the opposite side holds the bulb in place. To adjust, I wedged pieces of rubber at the top and bottom of the headlight shell which wedges the light one way or the other and holds it in place. Screw located opposite spring side. Next I address the parking light lenses and the turn signals on the front. 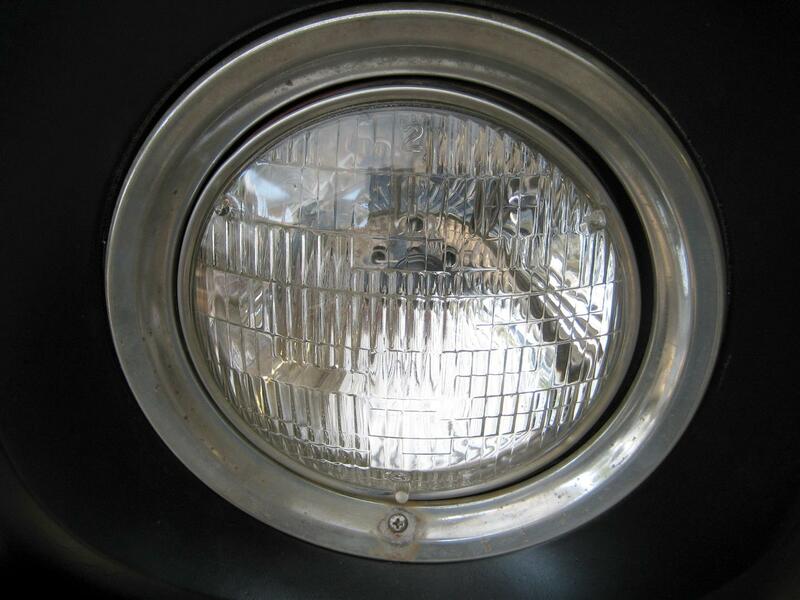 The parking light lenses below the headlights (these are not turn signals as commonly thought) were destroyed from years of sun light. These were only on the first few years of Loadstar models; a Loadstar guru could tell you which years, but that I am not. The parking lights only come on when the light switch is pulled out to the first notch which turns on the front parking lights and the running lights all over the truck. The front parking lights go off when the headlights are turned on which is the second notch on the light switch. These lenses have long since been discontinued by IH, so the best you can do is hope to find good used ones. This is no easy task as they are now very, very rare. However, after hours of online research and running part numbers, I hit a major score. I found a guy up in New York who had five new old stock lenses on his website. He has some kind of truck parts and salvage business. I don’t think he knew what he had because he listed them as GM lenses when they are in fact IH lenses. I called the place and immediately secured the purchase of all five lenses. I will use two of them on the truck, keep one for a spare, and sell the others on eBay where I should be able to recover my cost on all five. For the turn signals on the front fenders, I found some vintage Signalstat round turn signals. These are period correct, but I don’t know if they were the original type on this truck; I’ve seen many early loadstars with square and rectangular signal lights. However, I think these look the best so I went with them. They are amber in the front and red on the back. 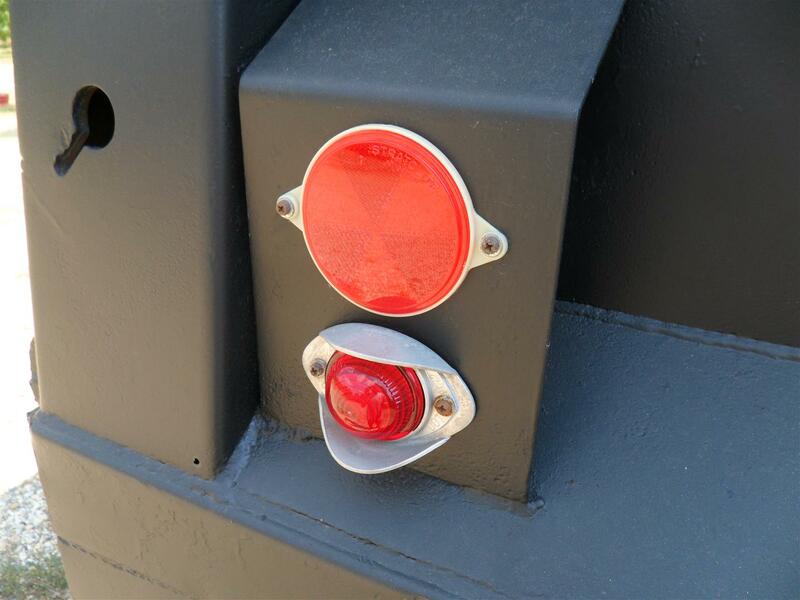 They are single-wire lights that function as signals only, they are not running lights. Turn signal, headlight, and parking light. To really set off the front of this truck, I wanted some period correct driving lights or fog lights. As I looked through old photos of trucks from this era, I noticed that many of them ran amber colored Unity fog lights in chrome housings. These are very expensive, but after months of searching during this project, I found a set of new old stock Unity lights which were actually made for Navistar. I quickly bought the lights for half of retail and I put some amber bulbs in them and they look perfect! 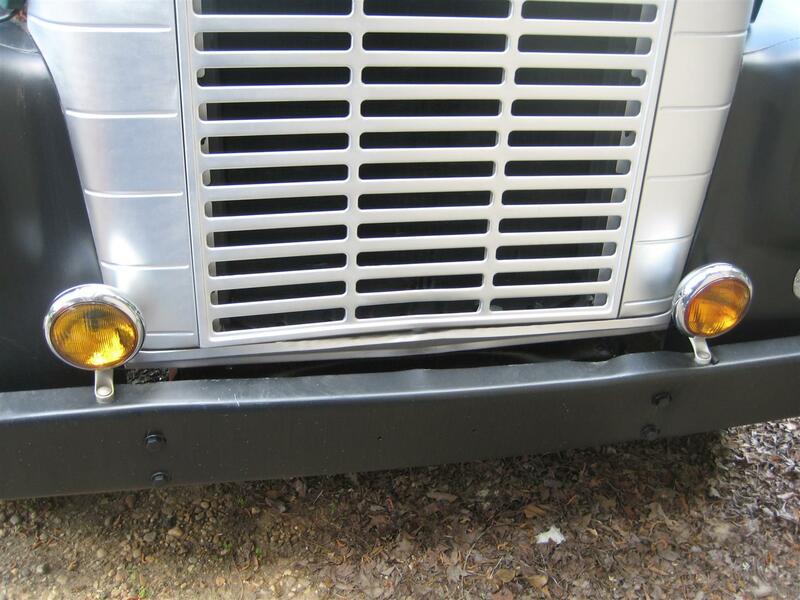 Next I address one of my favorite parts of an old big truck, the cab clearance lights. 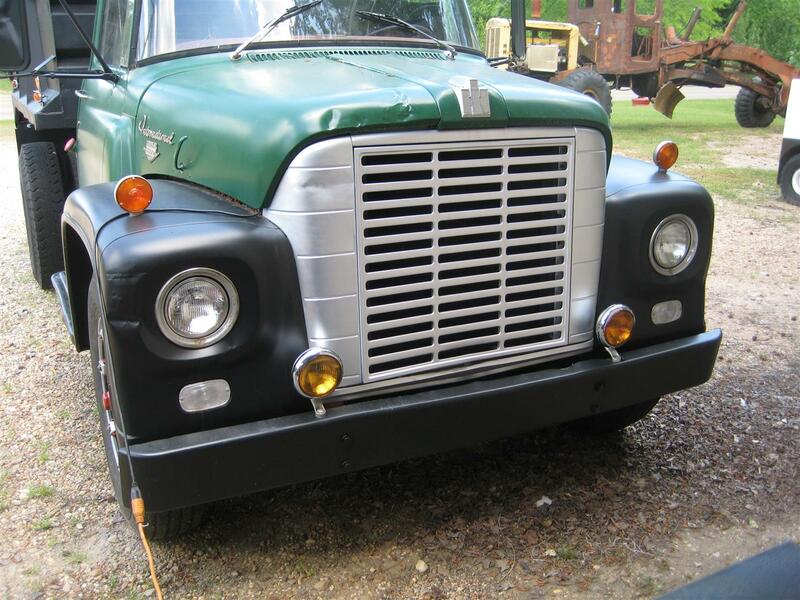 Back in the days of this truck, there were primarily three available configurations for clearance lights. Two lights: one on each cab corner, most common on very early trucks. Three lights: three in the center of the roof, which is the configuration I have. Five lights: three in the center and one on each corner, or all five evenly spaced across the top. For these, I found some new Signalstat units that are exact matches to the original IH clearance lights. Although these were used mainly on IH trucks, I’ve seen them on many different types of trucks, including fire engines. I thought about changing these up and going to a five light configuration, but upon deeper thought, I decided to leave it with just the three in the middle because later I plan to add unity spot lights to the roof at the corners. 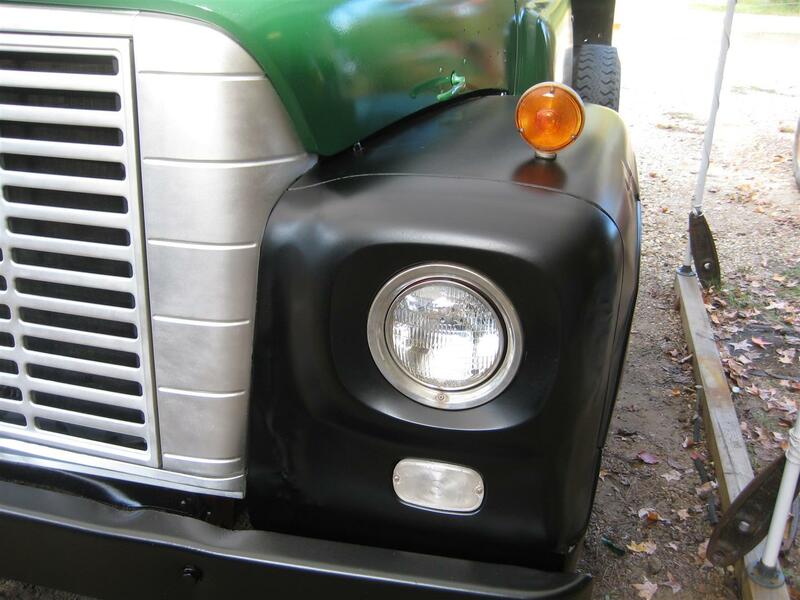 Now we have the side marker lights. For these I wanted to go back with the exact same light that came original on my Gar Wood dump bed because they look and function perfectly. 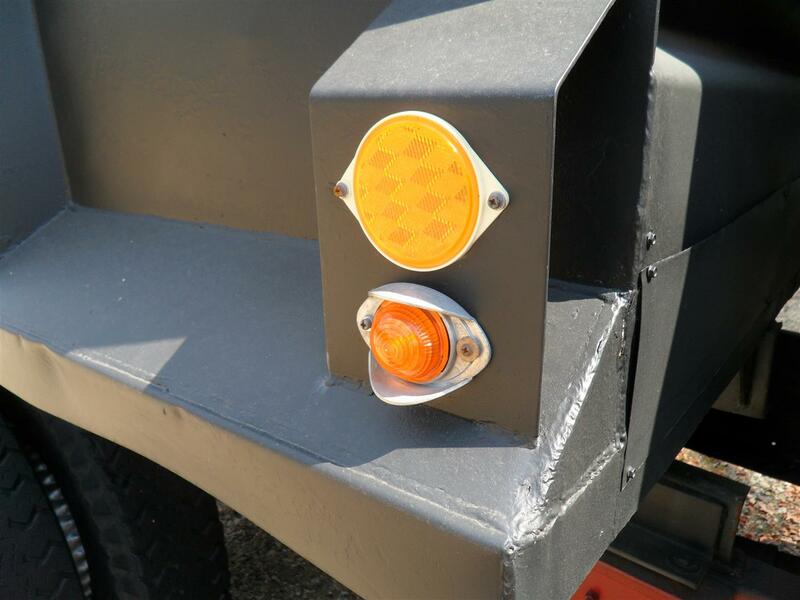 They are armored marker lamps. As seen below, they have a built on rounded guard that protects the lens, which is great for a dump truck, and they are kind of like a bee hive style that looks vintage and really cool. Apparently, the patent on these passed through the hands of about three or four different manufacturers so I had to trace and cross reference part numbers, but much to my surprise, they are still made today. I found them through NAPA. I even went back with the original round reflectors. For the lights and reflectors, I used amber on the front of the bed and red at the rear, just as it came originally. Since the bed is so short, there is no need to put lights in the middle. Last, I’ll address the tail lights. This was challenging because there is no good place to put lights on the back of this truck. There is nowhere to put them on the dump bed itself, so I have to look on the chassis. However, someone installed a heavy duty hitch plate on the end of the truck frame and mounted a pintle hitch. This lowers the height of the hitch and makes it easier to pull a trailer than having the hitch all the way up on the frame. 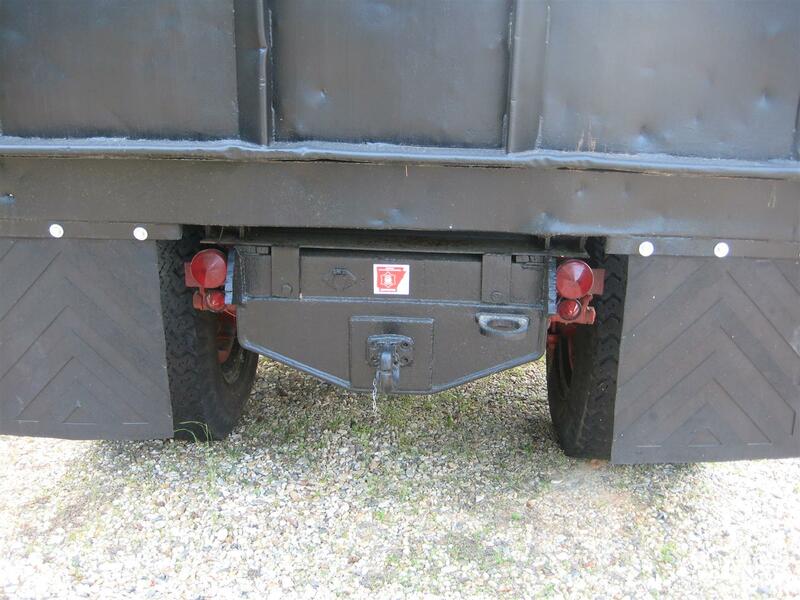 The hitch plate mounts over the area where the original tail lights probably were, and the width of the plate is from one mud flap to the other leaving no room for tail lights. Someone cobbled together some lights on the outside of the frame behind the mud flaps and then cut slots out of the mud flaps so the lights could be seen. This looked ridiculous, but I had to do something along the same lines. I mounted some round Peterson lights to the side of the frame and neatly narrowed the mud flaps so the lights can easily be seen. It actually looks pretty good. 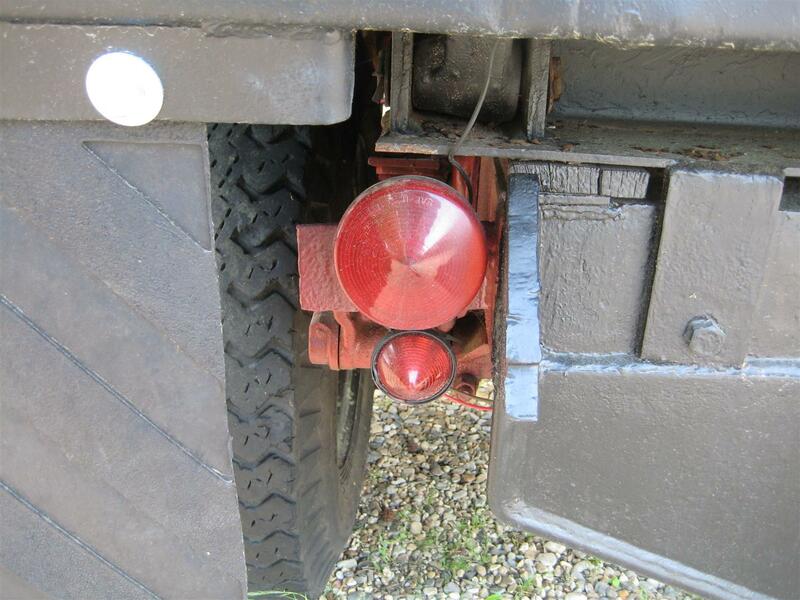 I then installed some antique running lights under the tail/brake lights. 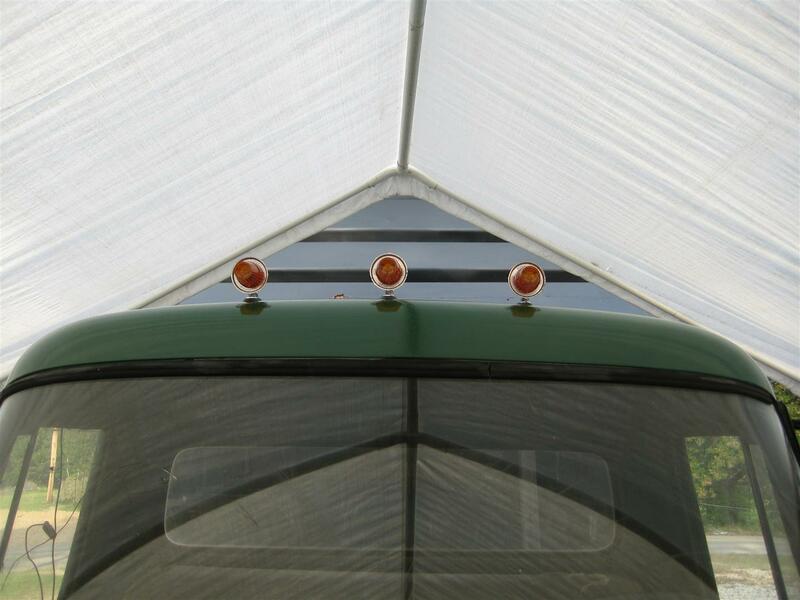 Similar to the marker lights on the bed, they are a bee hive type light. The wire you see above the left turn signal is actually a ground wire I had to use to ground the bed to the frame in order to make the side marker lights work properly. Is the bulb in the clear parking light lens under the headlight originally white or amber? I don’t really know what may have come originally, but mine had clear bulbs in it when I received the truck. I’m sure either type would work fine…they are only used for park lights. I don’t recall off-hand if I went back with clear or if I put amber in them.